A twin-turbo V-6 is still in the cards, but perhaps not one displacing 3.6 liters. 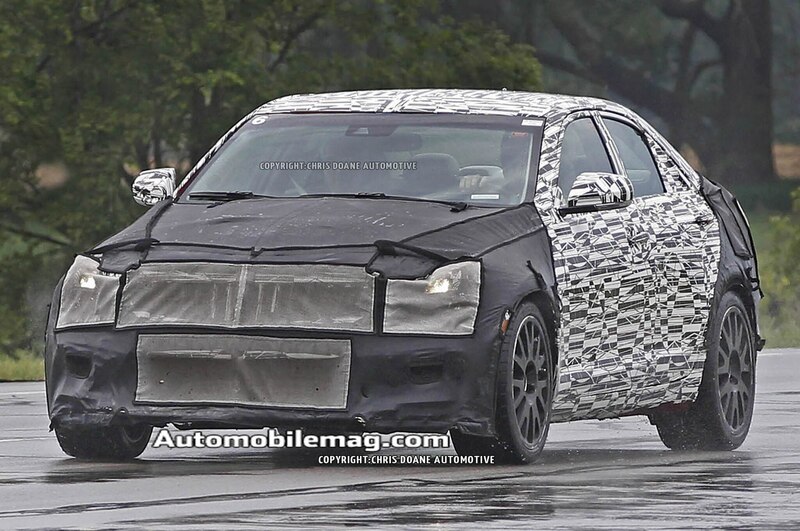 The upcoming Cadillac ATS-V is still wrapped in mystery and intrigue, but we’re hearing some interesting behind-the-scenes whispers regarding its powertrain. 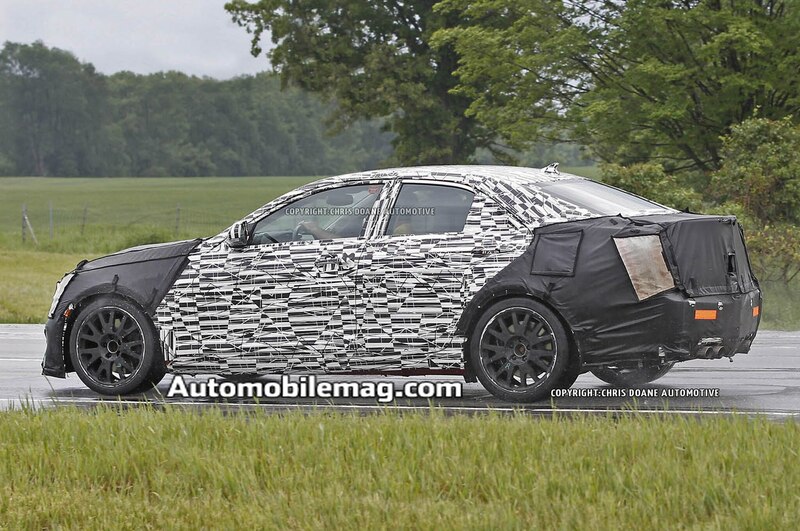 Yes, the car is expected to utilize a twin-turbocharged direct-injection V-6, but latest rumblings suggest it’s not the same engine found in the larger CTS Vsport and XTS Vsport sedans. Previous reports suggested the Cadillac ATS-V would be powered by a variant of the twin-turbocharged 3.6-liter V-6 first introduced in the 2013 Cadillac XTS Vsport, and also offered in the 2014 Cadillac CTS Vsport. 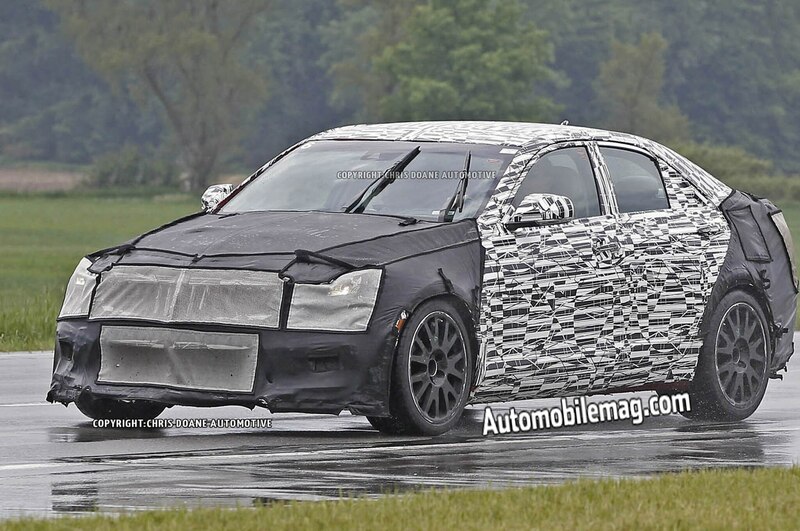 We’re now hearing that the ATS-V will indeed be powered by a twin-turbocharged six-cylinder engine — but a new 3.2-liter twin-turbocharged V-6. Unlike the old 3.2-liter V-6 used in the first-generation Cadillac CTS, this engine, like the larger 3.6-liter twin-turbo engine, is derived from General Motors’ High Feature V-6 engine architecture. A normally aspirated version of this engine was built by Holden in Australia for use in a string of small crossovers, but the basic engine architecture was also supplied to Alfa Romeo from 2006 and 2010, who in turn affixed its own direct-injection system and a pair of turbochargers. The result, known as the 3.2 JTS engine, was offered on the Alfa Romeo 159, Brera, and Spider between 2005 and 2010. 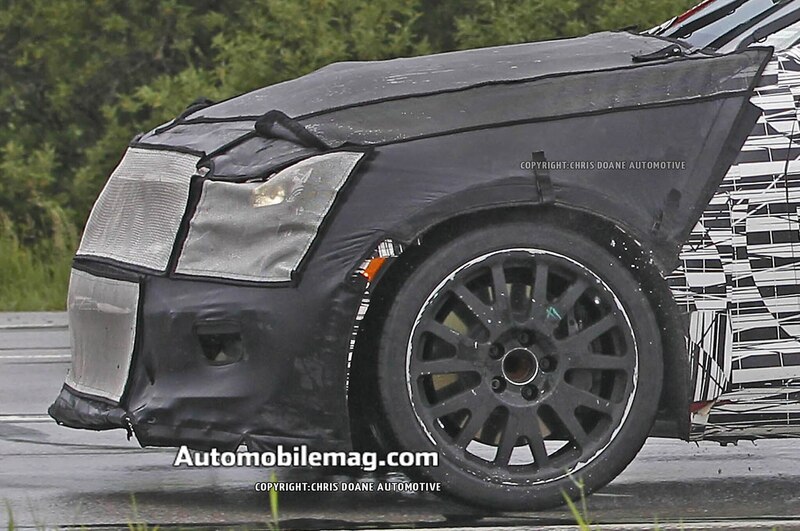 The Cadillac ATS-V‘s engine will most likely use a forced induction arrangement and fuel injection system developed within GM, and as such, won’t be an exact clone of the Alfa JTS engine. But why the displacement change? We’re hearing the dip in displacement provides a little more robust platform for tuning the engine north of the 500-hp mark. 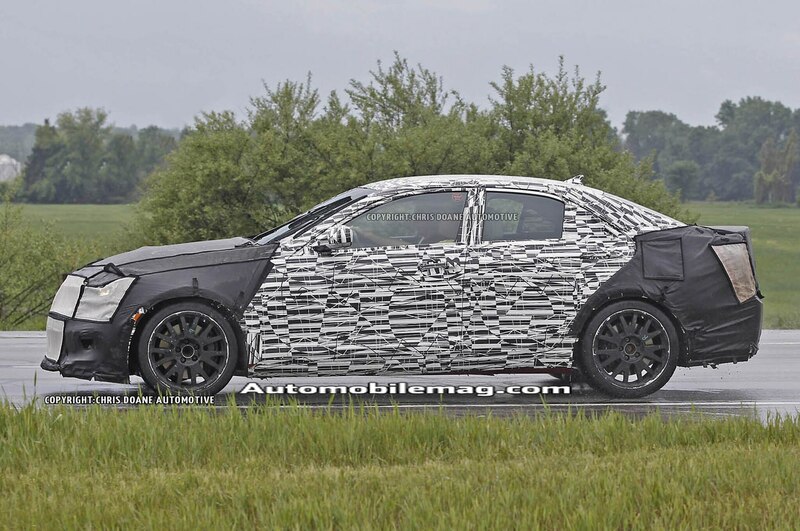 That figure seems to be a firm goal for GM’s engineers, and if so, the Cadillac ATS-V should outgun the 430-hp 2014 BMW M3 and M4 — one of the ATS-V’s most significant competitors. 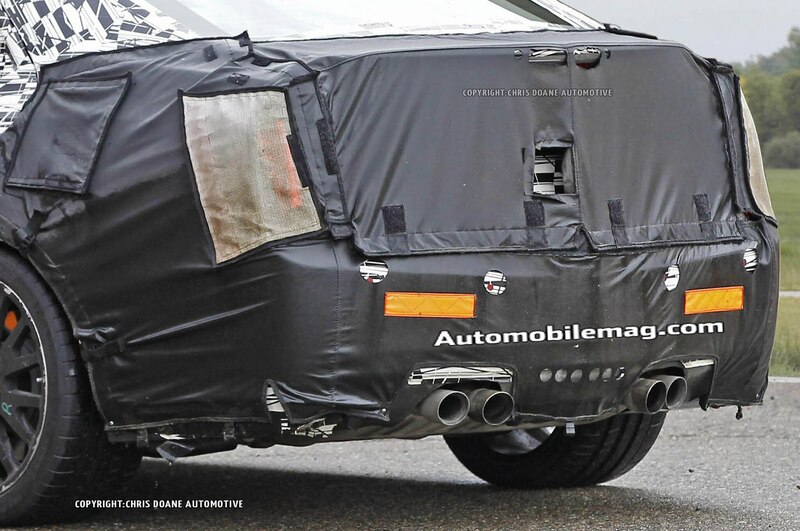 However GM decides to bless the ATS-V with 500 hp — be it a 3.2-liter or 3.6-liter twin-turbocharged V-6, we’re excited by the possibility of a 500-hp, tire-scorching ATS in our future.